"Merlin, Stitched in Time" chronicles the misadventures of a self-taught somewhat historical, somewhat modern seamstress (the titular Merlin) as I stitch together garments, clothing, costumes, and accessories from History, Fantasy, and even some from the Modern World. So it started with a bored day at work and I gave into research. That resesrch led to plots for a historically accurate version of one of my favorite Disney Princesses, Princess Jasmine. This is my version, which takes its influence from Turkish and Persian fashion. The plan included a blouse, harem pants, a coat and a hat with veils. And I know they have proper names but I'm on my phone and don't feel like looking them up. In cleaning up the sewing room I found the hat form I bought last year. 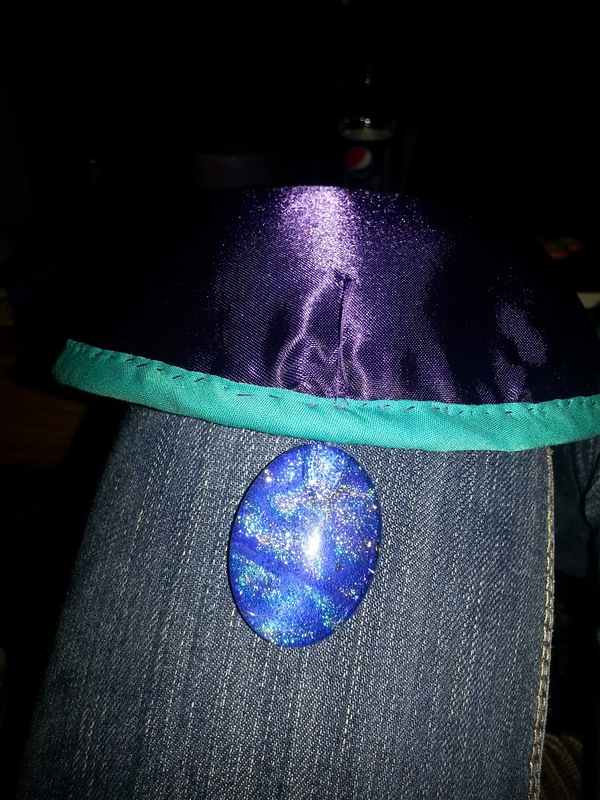 It was originally a 1950s costume hat. 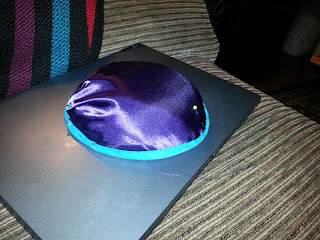 So tonight I covered it with some of the purple satin for the sash and a bit of teal bias tape for the edge. 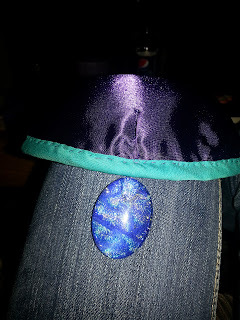 Then I added the stone in the center for her jeweled headband. The first picture shows the purple satin anf the bias. The second shows the inside. And the third shows the jewel. I just have to add on the veil and it's done. Which leaves the coat that scares me. It was expesive fabric. 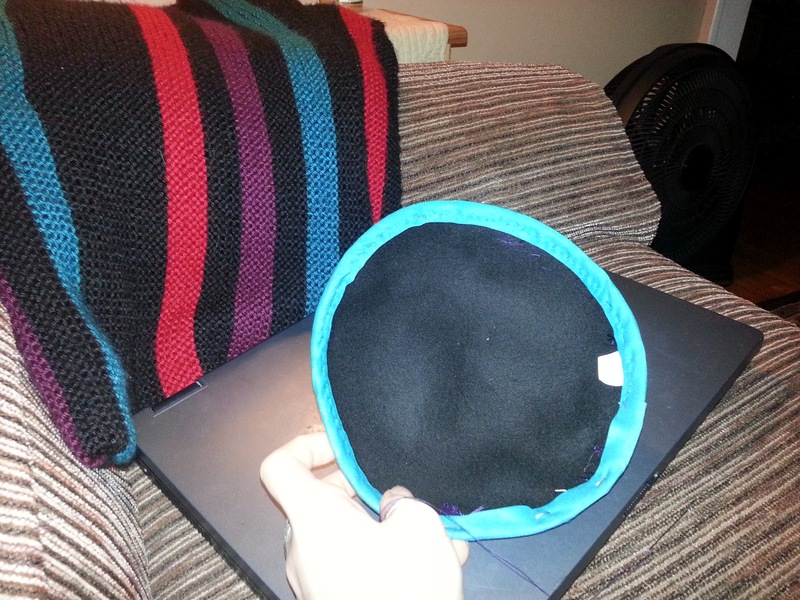 PS The black, red, teal, and purple in the first two pictures is the very first thing I knit. It's a lovely shawl.